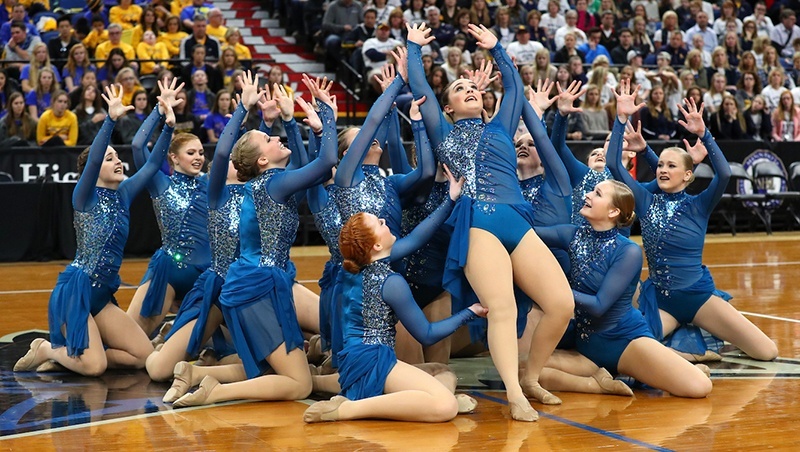 Totino Grace E'gals' Jazz and HighKick teams took second place at the Minnesota State High School League State Tournament this year! We sat down with the Coach Kristen Gagnon to dive deep into the inspiration behind their elegant and unique costumes for both groups. 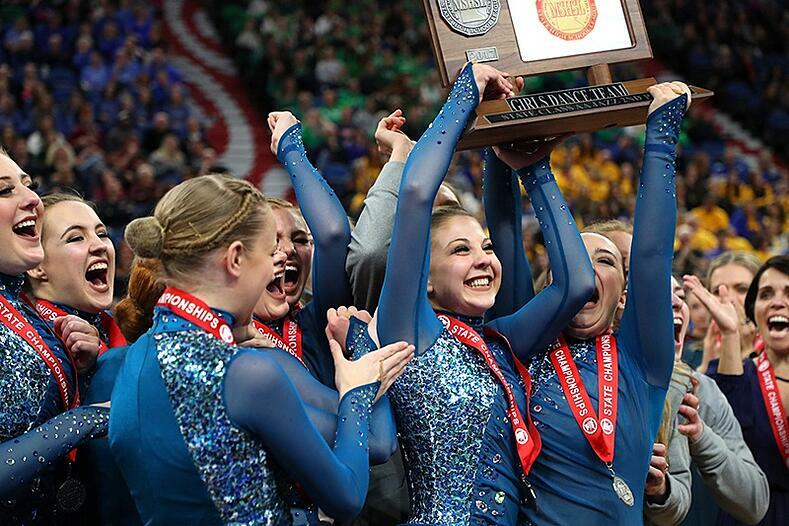 It's important to Totino Grace that their routines are different and unique every year. "It challenges the girls to take on a new style or persona and we love to tell a story with each of our routines," Kristen said. 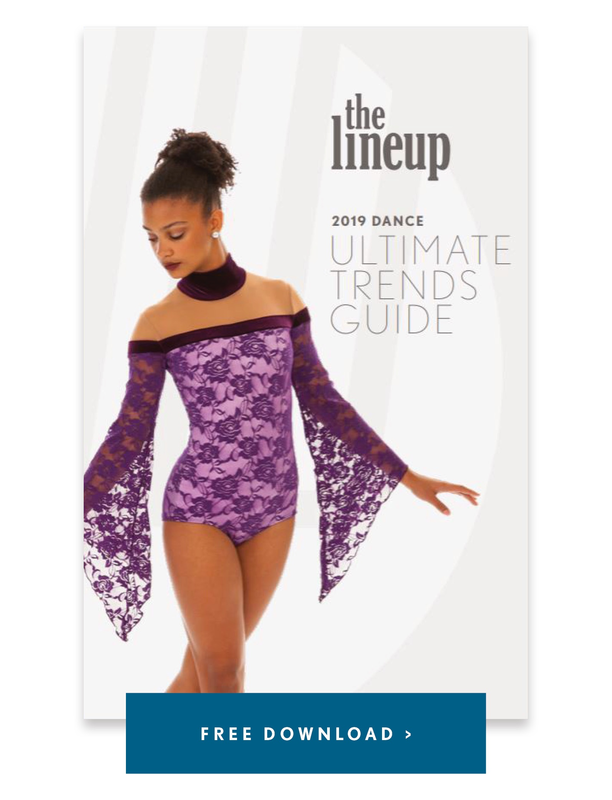 For their high kick routine, the team's custom costume design was inspired by a necklace that Beyoncé wore in her "Formation" Video (which also made it to our inspiration board! ), as well as their music compilation. "We titled our kick song "Dangerous" and used several songs in the mix including: Toxic, Poison, Dangerous, Man Eater and Poison Ivy," Kristin Explained. 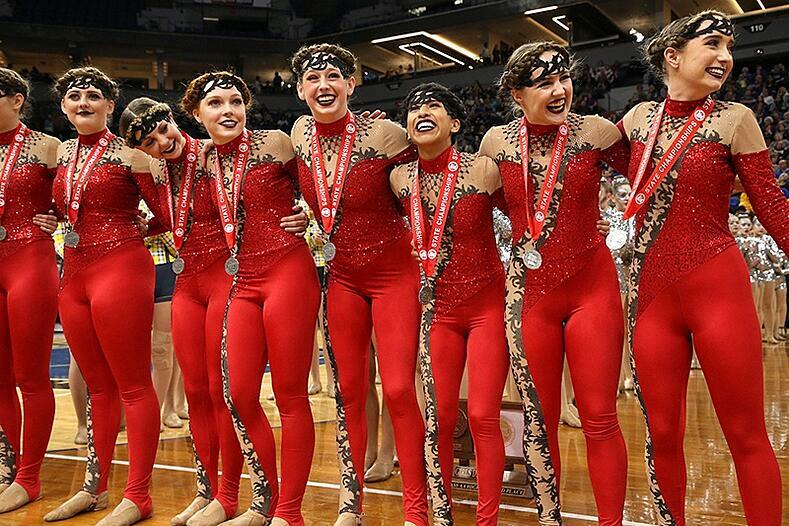 To pull this fierce girl anthem together, the team opted for a bold red unitard. A necklace was custom printed on mesh at the neckline, and a sharp ivy pattern snaked across the bodice and leg. The end result was a costume imbued with the look of poison ivy! 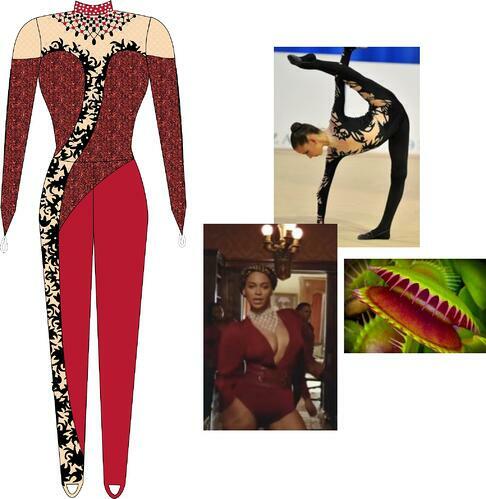 The design illustration for the team's "Poison Ivy" themed high kick costume (left) and a few inspiration photos behind the design (right). Their Jazz song was titled "10,000 Emerald Pools," and the team used a lot of imagery when creating their jazz costume and choreography. "Once the song was selected, the idea of a mermaid came to mind, and the costume design took off from there," Kristin said. 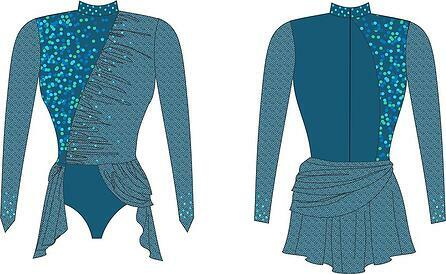 We worked with the E'gals to create a jazz costume with a unique water theme: sequin fabric was custom printed with a mermaid fish scale pattern, and oversized rhinestones were used to create a "splashing water" look across the bodice and sleeves. Paired with an open front skirt, the final emerald design was very elegant and fluid! The design illustration of the team's custom jazz costume. It's important to us that our routines are "different and unique" every year. It challenges that girls to take on a new style or persona and we love to tell a story with each of our routines. My favorite memory is the same every year and that is watching my team compete at the State Tournament, particularly the seniors. I am blessed to be a part of a strong program with amazing coaches, dancers and a supportive school community. Our goals are many and creating a team identity is unique to each season, but we pride ourselves in qualifying and competing at the State Tournament every year. I take notice and remind the team of the little things and encourage my dancers to live in the moment to slow down and appreciate the venue. I love the moment when we are preparing to take the floor and watching my seniors dance for the last time in their careers, especially joining them as they walk off the floor knowing they left their hearts there! The challenge is the same every year when you lose seniors, which this past season we graduated 10, but it's also what is exciting. There is nothing better than starting over and creating a new team experience with new dancers in the program and teaching them about our E'gal culture. We are excited about the new talent coming in and look forward to getting to know them and immersing them in high school dance team. 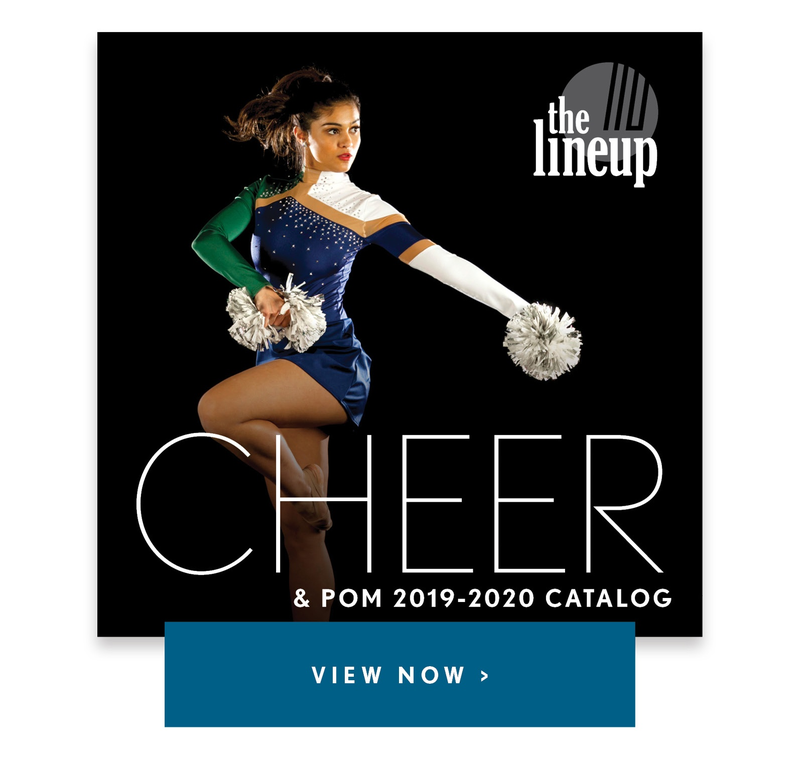 There is no better opportunity for dancers than a quality high school dance program and we believe we provide a great experience for each one of our dancers. 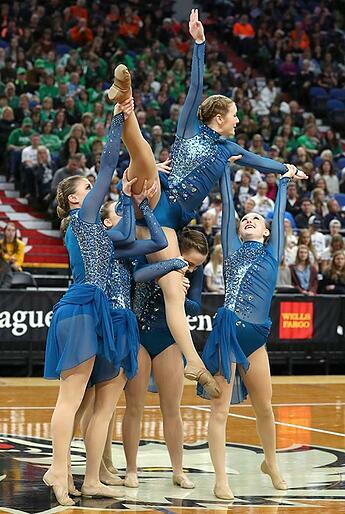 Check out the video below of the Totino Grace E'Gals Jazz Team performing "Emerald Pools" at the MN State Tournament!